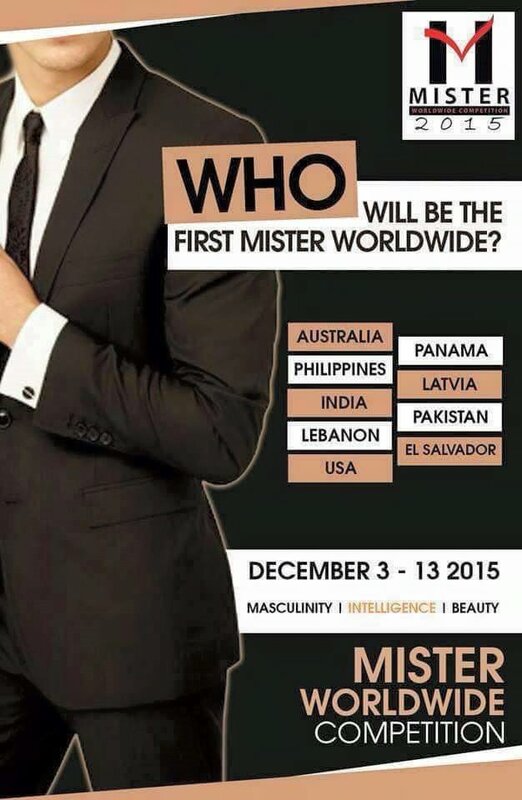 Mister Worldwide 2015 holds its first edition being held in Orlando, Florida on December 3-13, 2015. The finals night will be held on December 13, 2015 (Sunday) at 6:00 PM at the Señor Frogs Restaurant and Theater Lounge. Who do you think will win Mister Worldwide 2015? Mister Worldwide competition is an integral male beauty pageant for men between the ages of 18 and 30, a minimum height of 5'7" (1.70m) and no civil status is required.